I have no idea why the old adage “Don’t judge a book by its cover” has stuck around so long. Clearly, that’s exactly what we all do initially. Okay, as a metaphor, you should not similarly judge a person by their outward appearance…but as for books, that is the first thing a potential reader will see and that reader will make any number of snap decisions based on the cover: is it intriguing, attractive, makes you want to know more… But the most important clue the cover imparts is this one: genre. Let’s agree that there are indeed certain types of covers that grace particular genres. Think for example of the romance novel. Whether historical romance, contemporary, or romantic suspense, they all share common elements. These may be a portrayal of hero/heroine in an embrace, in a pose of longing, or sometimes just in an outfit that suggests steaminess. Often there are lips or certain body parts featured. Enough on that. How about fantasy? I’m sure you are already conjuring up all sorts of starry images or hidden glens or fractured beams of light over a mysterious world. You get the point. So what does an author do when she’s told her cover (and her title) are not representative of Young Adult literature, her target demographic? That happened to me. 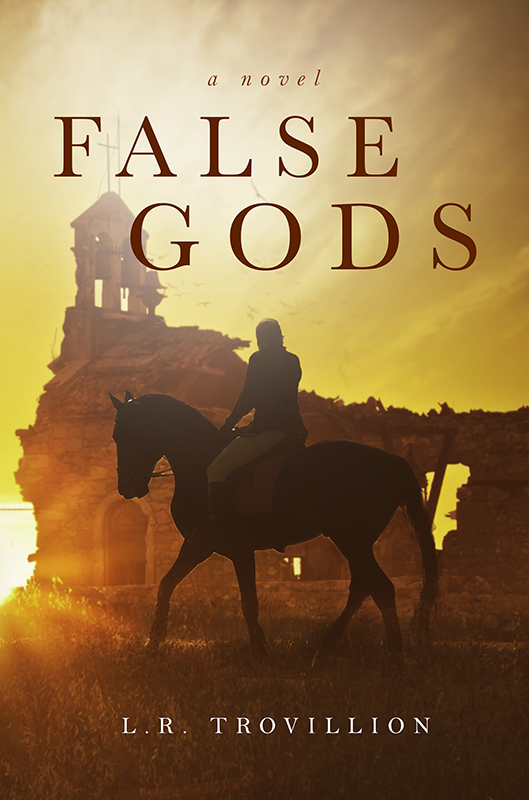 I’ve been told the cover does not attract YA readers, it looks more like historical fiction, it is not clear what the story may be about…on and on. So, I decided to give a new cover for the ebook version a try. Now I have a new problem. What should that cover look like and can I find a graphic artist who gets horses? Gets the theme of the novel? 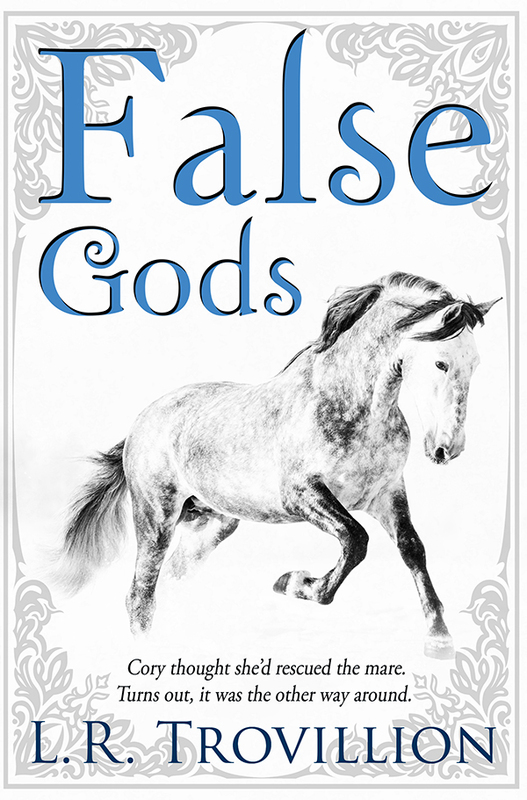 Gets the mood, branding, look that will represent False Gods and future books in this series? Well, I think the artist struck the right balance between realistic and abstract concept. What do you think? I would LOVE to hear from readers.